A perennial bestseller, Nancy Dunnan's How to Invest $50-$5,000 has been a trusted advisor for more than two decades. But never before has the economy changed so radically in so short a time. This new edition reflects the latest, smartest strategies for small investing in the current economy, and has fully updated information on all of the recent changes in federal regulations and laws. Covering the full range of small investing—from selecting a bank to choosing specific investments to making sense of financial pages—Dunnan guides even the most inexperienced investor through the maze of stocks, bonds, treasuries, mutual funds, and more. 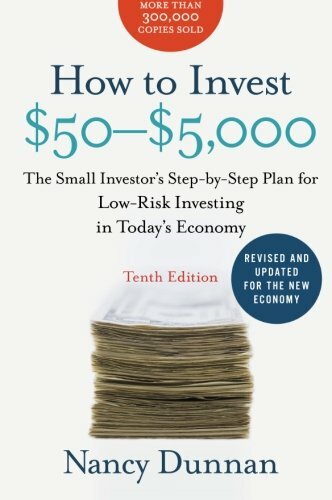 Now more than ever, How to Invest $50–$5,000 is an indispensable handbook for small investors—pointing the way toward the best low-risk, high-value opportunities available in the current U.S. economy. If you have any questions about this product by HarperBusiness, contact us by completing and submitting the form below. If you are looking for a specif part number, please include it with your message.